Pure 1970's style here - patch chest button pockets, vintage collar with rounded tips and discreet lower slit pockets. 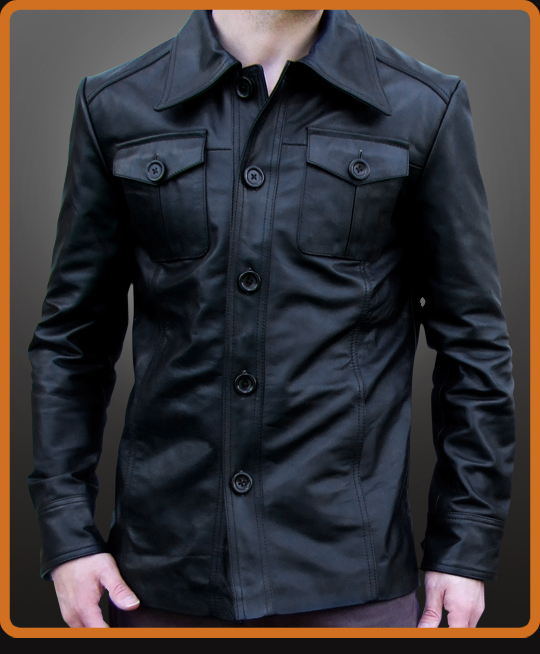 A leather jacket true to vintage designer style. Available in Black and Antique Brown.